Central location, very nice building, clean and cozy apartment. 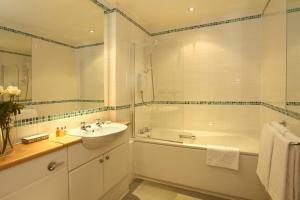 Kitchen is fully equipped, bathroom is very space and bedroom comfortable. 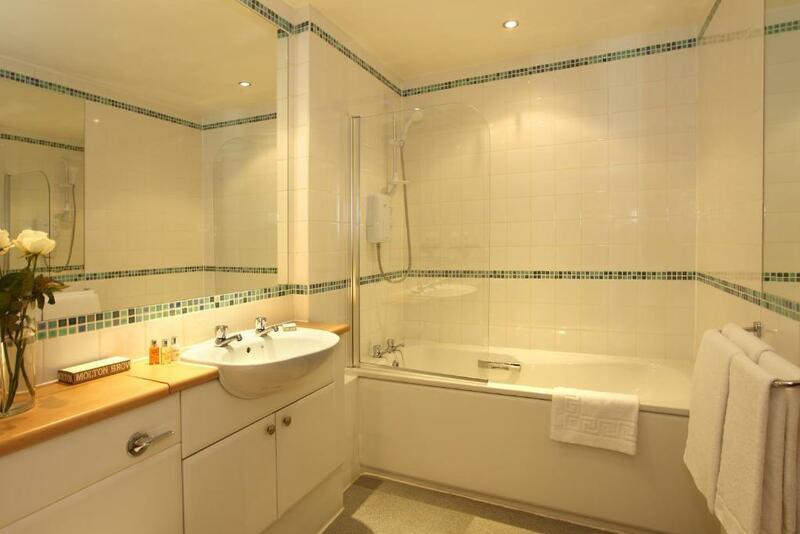 This property is located in the city centre. Nevertheless it's not loud at all. The property is clean, warm and comfortable. Excellent standards all round in equipment , furnishings and a comfortable bed ! The location is the best to discover the Merchant City of Glasgow. The kitchen facilities are excellent. The Manager - Christine is so lovely and very helpful The Apartment is super clean and tidy The rooms are very spacious and comfortable. The furnishing and the bed are very comfortable. The starter pack was useful and the apartment was what we were looking for. Everything was fine thank you, convenient for the places we needed to visit - secure parking would have made everything perfect. 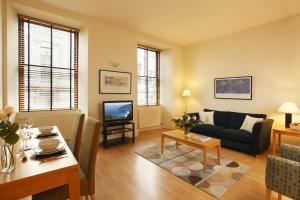 Originally we are from Glasgow so knew the area for an apartment that would suit our travel needs. The physical location is perfect. The local staff are very pleasant. The room is clean. Modern flat located close to George Square. The flat was spotless. 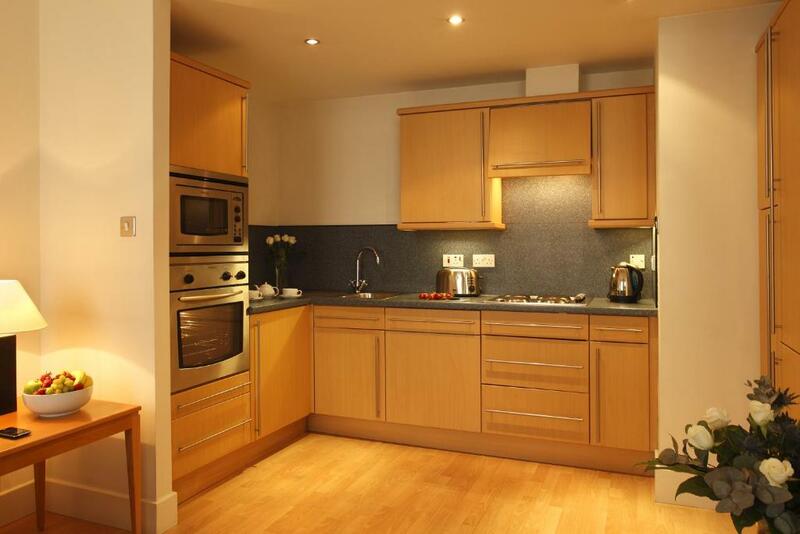 Well equipped kitchen, confy double bed and spacious bathroom. 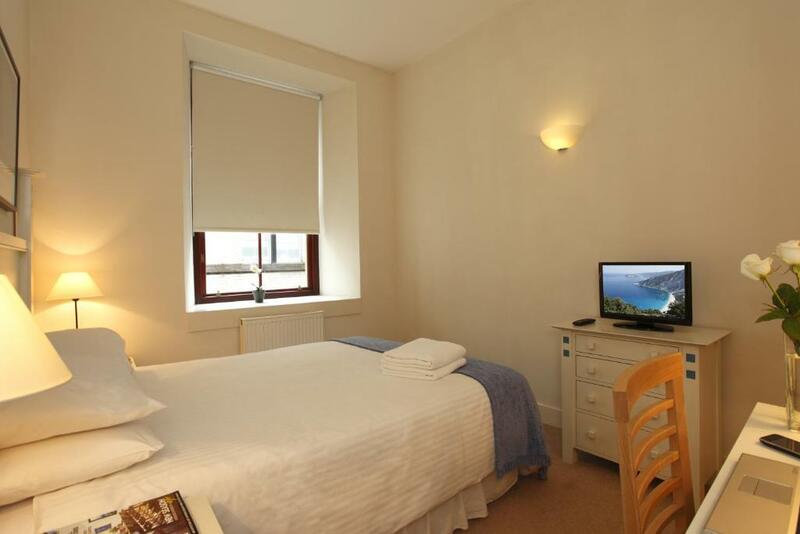 Lock in a great price for SACO Glasgow - Cochrane Street – rated 9.1 by recent guests! 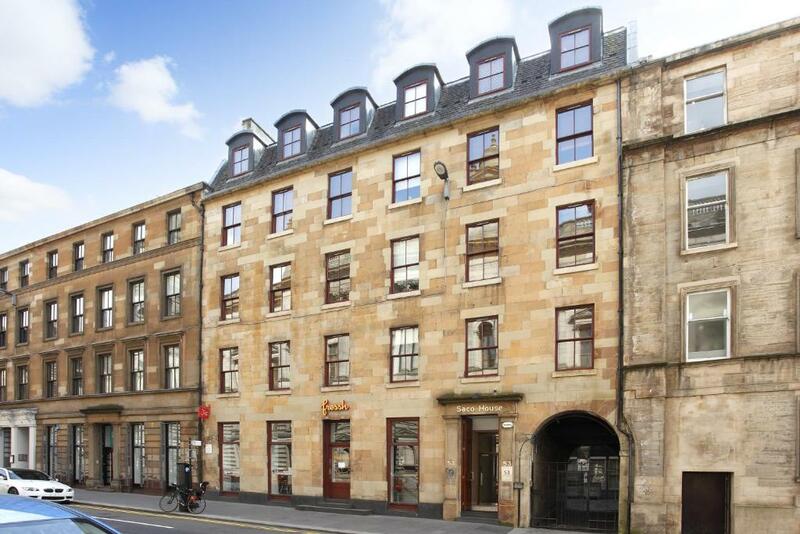 SACO Glasgow - Cochrane Street This rating is a reflection of how the property compares to the industry standard when it comes to price, facilities and services available. It's based on a self-evaluation by the property. Use this rating to help choose your stay! SACO Glasgow - Cochrane Street offers accommodations in Glasgow. George Square is 350 feet away. Glasgow Central Station is a 10-minute walk away and Queens Street Station is a 5-minute walk diagonally across George Square from SACO Glasgow, Subway and bus stops are also located nearby. The accommodations comes with a flat-screen TV with cable channels. There is a seating and/or dining area in some units. There is also a kitchen, fitted with a dishwasher, oven and microwave. A toaster, a refrigerator and stovetop are also featured, as well as a kettle. 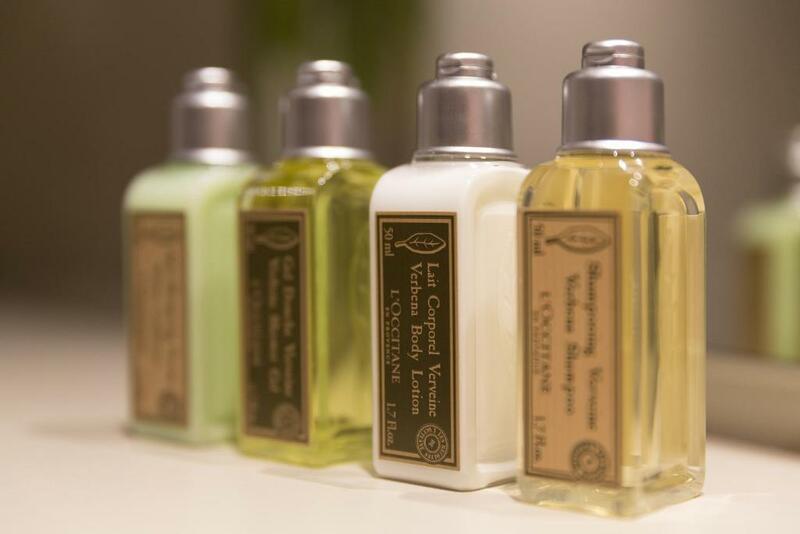 Every unit features a private bathroom with a bath or shower and free toiletries. Towels and bed linen are offered. Royal Concert Hall is 1,650 feet from Saco Glasgow Apartment, while Buchanan Galleries is 1,650 feet from the property. The nearest airport is Glasgow Airport, 6.8 mi from SACO Glasgow - Cochrane Street. The bus stop to the airport is a 2-minute walk away and can be located outside the Tourist Board opposite George Square (no. 500). This is our guests' favorite part of Glasgow, according to independent reviews. This property also has one of the top-rated locations in Glasgow! Guests are happier about it compared to other properties in the area. 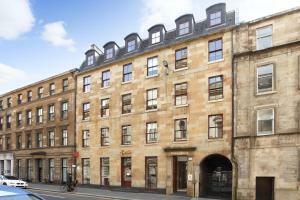 뀐 Located in the real heart of Glasgow, this property has an excellent location score of 9.6! 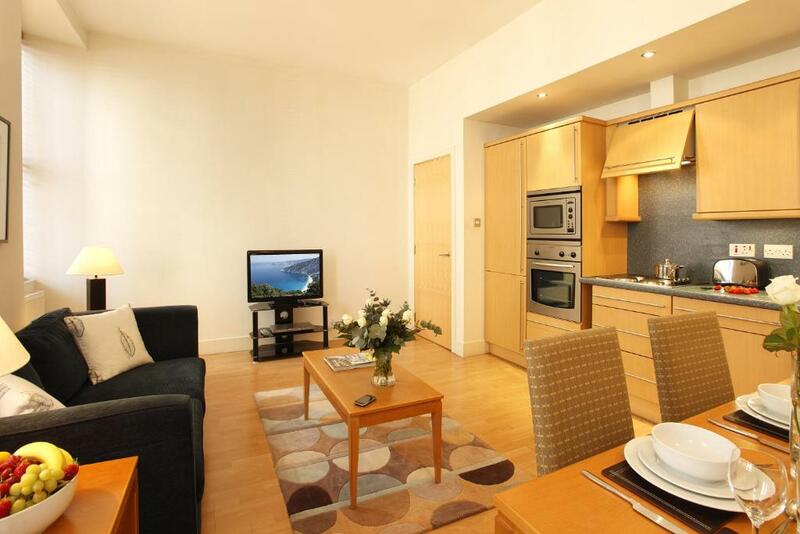 When would you like to stay at SACO Glasgow - Cochrane Street? 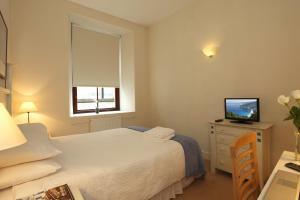 Spacious one bedroom apartments featuring a double bedroom with a king-sized bed and a bathroom containing a bath with overhead shower. The open plan living/dining area includes a fully equipped kitchen. A cot is also available upon request. Modern 1 bedroom apartments featuring 1 double bedroom with a king-sized bed and 1 bathroom with a bath with overhead shower. The open plan living/dining area contains a sleek fully equipped kitchen. 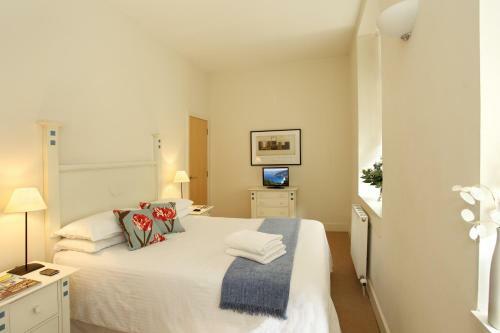 A sofa bed and a cot are available upon request, please inquire at time of booking. Area Info – This neighborhood is a great choice for travelers interested in clothes shopping, shopping and nightlife – Check location Excellent location – show map Guests loved walking around the neighborhood! House Rules SACO Glasgow - Cochrane Street takes special requests – add in the next step! A GBP200 damage deposit is required on arrival (around USD260.98). This deposit will be fully refunded 7 days after check-out, as long as there isn't any damage to the property. SACO Glasgow - Cochrane Street accepts these cards and reserves the right to temporarily hold an amount prior to arrival. SACO – The Serviced Apartment Company will take full payment for your accommodations at the time of booking and confirm your arrival details at the property. Upon check-in, guests are kindly required to show the credit card used at the time of booking and a valid photo ID, such as a driving license or passport. A refundable security deposit to cover “additional charges“, including breakages, damages, extra cleaning and further accommodations charges incurred during your stay, may also be taken and you will be advised whether this is payable at the same time. This will vary on the size of apartment you have booked. Group Policy: We consider a group to be three apartments or more being booked in the same city for similar dates. When making a group booking full payment will be required at the time of booking and this is nonrefundable. A security deposit, as above, will also be required for each apartment booked. Unfortunately we are unable to guarantee that all apartments booked will be in the same building. Please inform SACO Glasgow - Cochrane Street of your expected arrival time in advance. You can use the Special Requests box when booking, or contact the property directly using the contact details in your confirmation. Please note that the full amount of the reservation is due before arrival. SACO Apartments will send a confirmation with detailed payment information. After full payment is taken, the property's details, including the address and where to pick up the keys, will be sent to you by email. A damage deposit of GBP 200 is required on arrival. That's about 260.98USD. This will be collected by credit card. You should be reimbursed within 7 days of check-out. Your deposit will be refunded in full by credit card, subject to an inspection of the property. The key collection was a bit tricky, as the provided door code didn't work. The Wifi was the only negative thing in this great Apartment. The Wifi and Internet connection need to be fixed . Not an actual criticism but it would be only fair to say that the bar next door has live music at the weekend which might disturb anyone wanting an early night. No secure parking - but we knew this of course before we came. Payment was at odds with what was stated in booking.com. money taken without notice and I queried I was told to read the fine print. Received call in Australia at 1:30am to discuss why they took the payment. Given four different very confusing and contradictory explanations of what was going on. Room is extremely noisy and earplugs are provided by SACO but road is very quiet between 130am and 530am. Buskers normally pack in about 1130. Secondary glazing could be in order. As it had a cooking area the rooms smelled of food / waste and corridor of smoking. Would suit couple enjoying Glasgow. Can't really suggest street is suitable for families with younger children. There was a little problem with the collection of the key at our arrival but the manager was very kind and helpful and everything was quickly sorted out. Weekend's evenings could be a beat loud. Couple of additional things could be added to make longer stay even nicer, i.e. a small wardrobe in the bedroom or extra hangers in the bathroom. For some reason the code that was sent to me didn't work on arrival and had to call SACO for assistance. Apartment was very comfortable and very clean. Excellent location, walking distance to everything you would need. Very quickly felt like home for the couple of days that we stayed. Would definitely recommend to others!